I hope everyone is enjoying reading about the Bread Baking Babes excursion to Ethiopia with our injera and fantastic wots this month. I can tell you we had a lot of fun making the injera and there were great conversations back and forth amongst ourselves about various spices. Of course we also had to suffer the obligatory jokes in poor taste from our friends and family about Ethiopian food and starving children. While we all laughed in good fun, there isn't really anything funny about starving children in Africa. And, you don't have to look as far away as Africa, Indonesia, or South East Asia to find children who are hungry and undernourished. All you have to do is look around you at the mall, or while standing in line at the post office, or while driving down the street in any town in America. Every year in America almost 12 million children go hungry or live in circumstances that leave them with little access to healthy food. Given the current economic situation in this country, that number is sure to grow and with state and federal government cuts to the social programs that serve the neediest amongst us, the outlook that the tide of child hunger can be stemmed is even more grim. That is where Share Our Strength comes in. The good folks at Share our Strenght are out to conquer child hunger in America by raising the awareness level in communities at the grass roots level. 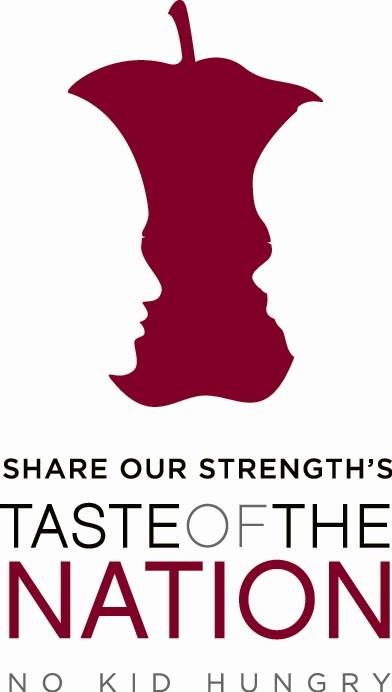 Share Our Strength is the national organization behind such events as the Great American Bake Sale, Great American Dine Out, A Tasteful Pursuit, and the event that I'm promoting here tonight, Taste of the Nation. Taste of the Nation events are happening all over America from now through the summer. Each event features local restaurants and drink establishments offering samples of their wares. You also have the opportunity to mingle with fellow foodies and meet some of the top chefs and food writers in the land. The price of admission to the events goes to help end child hunger. I've been asked by the good folks at Foodbuzz to attend Taste of the Nation New Haven and write here at The Sour Dough about the event. I'm very excited because along with some of my favorite New Haven and Fairfield County restaurants will be the opportunity to have one of my two cooking heroes, Jacques Pepin, sign a copy of his latest cookbook, "More Fast Food My Way". There will also be a silent auction and great live music. You can bet I'm going to be ponying up my $35 to purchase "More Fast Food My Way" to not only get Chef Pepin to sign my copy but, since 100% of the proceeds go to support hunger programs in Connecticut like City Seed and the Connecticut Food bank, I know my cookbook purchase is going to go towards making sure a few children in Connecticut have a healthy breakfast or lunch for a week. If you go right now and purchase a ticket to attend Thursday evening's event at the Omni New Haven Hotel at Yale you can buy a copy of Jacques Pepin's new cookbook for him to sign and you can get to hang out with me! I'm going to be noshing and nipping at the vino and spirits and doing a little hobnobbing between taking pictures and talking to some of the sponsors. I'm also going to toss one more thing out here to entice you to join me at Taste of the Nation New Haven. If you come to the event, I'll offer one of my readers who meets me, a loaf of my very own Sourdough bread made with Bob, the starter you've all watched grow up from a wee starter. All you have to do, is come find me at the event, introduce yourself, and give me your name and email address on a 4" x 5" piece of paper. 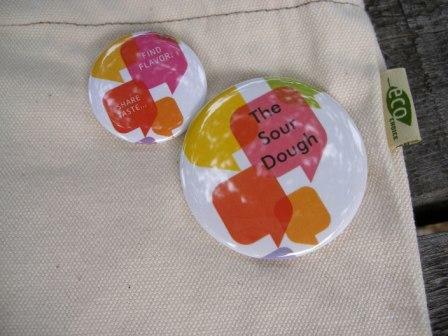 To make it easier for you to find me, I'll be wearing my fabulous Foodbuzz button for The Sour Dough. 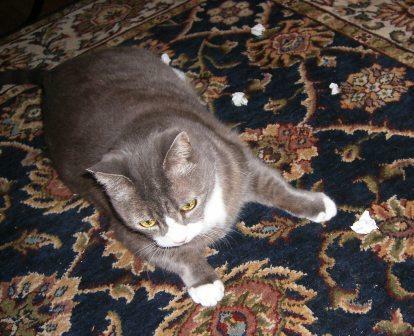 select one of the pieces of paper for one of your to receive the bread. So, what are you sitting there waiting for?! A chance to meet Jacques Pepin and have him sign a cookbook for you, great food, wine and music, lots of fellow foodies, a chance to get a loaf of homemade sourdough bread AND you will be helping to make child hunger in America a thing of the past. Clicky, clicky, clicky to get your tickets and I hope to see you there.